You are currently browsing the archives for the tag 'skull and polka dot tie'. If there’s one night to go all out and turn on the flash, it’s undoubtedly New Year’s Eve. But some of us are challenged throughout the whole festive season with specific dress code for special parties. Personally speaking, I will attend the 8th annual ASW Winter Weekend Mid December at the fabulous Gstaad Palace in Switzerland and for Friday night’s dinner «La Vie en Or» the dress code says asks for «glamorous, with a touch of gold». This is great! I love any reason to wear sparkle, but such an occasion is the perfect time to shine. And gentlemen, you are in this, too! «Golden Girl» or just a little golden accessory – you decide how much you would like to shine. From full-on sequin dresses to just the right gold accessory, there isn’t one right way to fulfill the dress code. The golden rule is you have to feel comfortable, in every tailored sense of men’s style, is purchase clothing that fits you properly. Nothing destroys an outfit – whatever the dress code and no matter how expensive the clothes are – like an ill-fitting jacket, shirt or trousers. 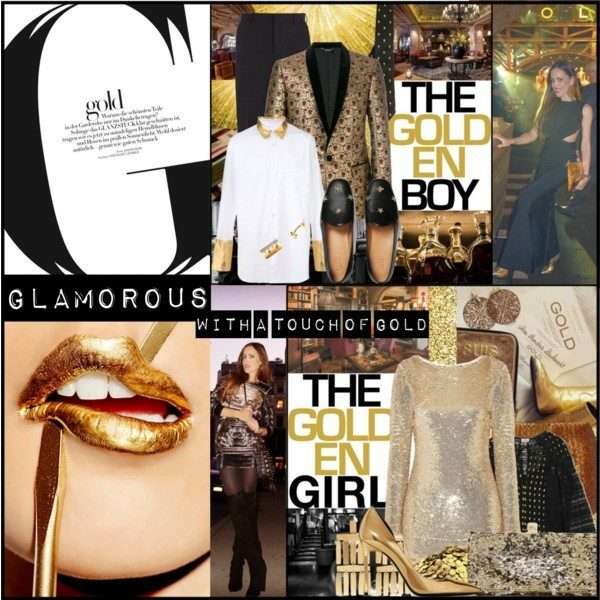 In general, gold is the perfect color to lift an all-black or an all-white outfit to something glamorous and fun. Perfect for all festive occasions! To make your life a little easier, I put together a fun guide for all budgets so that you don’t need to worry about anything and can focus entirely on celebrating the start of the winter season in style! 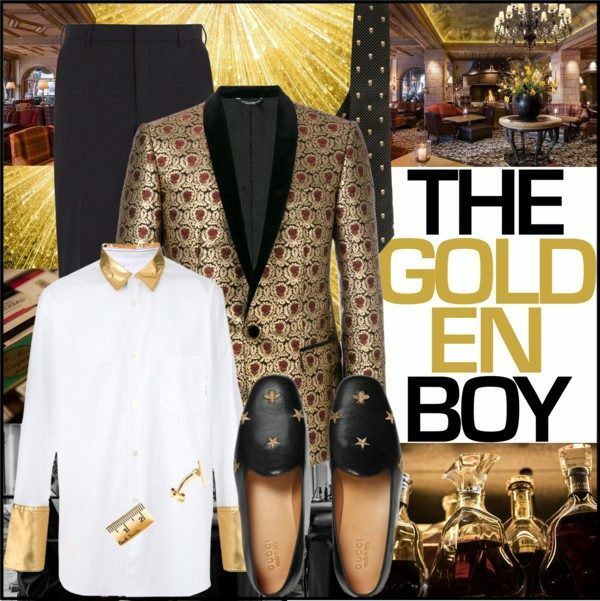 Get his look: Metallic jacquard dinner jacket by Dolce & Gabbana, shirt gold detail shirt by Comme des Garçons, turn-up hem wool-blend tailored trousers by Prada , ruler cufflinks by Paul Smith , skull and polka dot tie by Alexander McQueen and leather embroidered loafers by Gucci. Get her look: Racko open-back sequined cady mini dress by Rachel Zoe or wondering lace-paneled fil coupé georgette blouse by Temperley London and sequined wool mini skirt by Marc Jacobs, Anya d’Orsay metallic patent-leather pumps by Saint Laurent, Celeste sequined canvas clutch by Jimmy Choo and Roma gold-tone earrings by Annie Costello Brown. 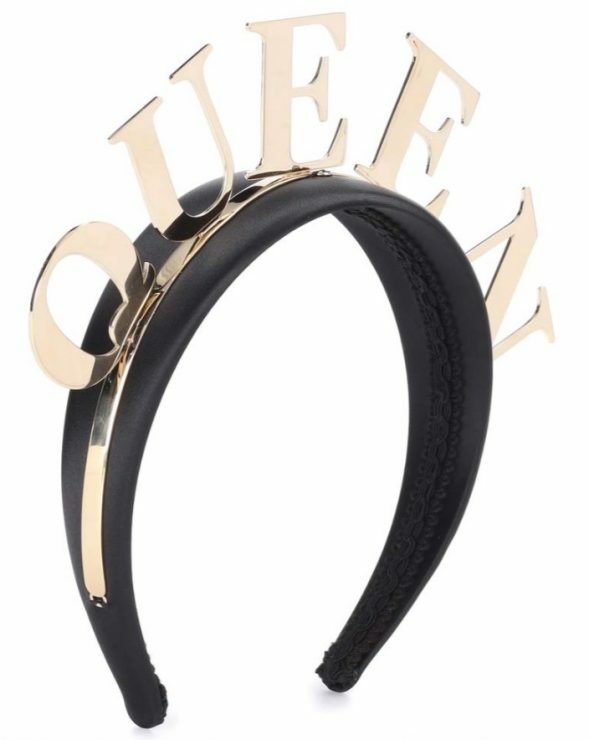 Stand out with a statement headpiece with a touch of gold and be the queen of the night: embellished satin headband by Dolce & Gabbana. 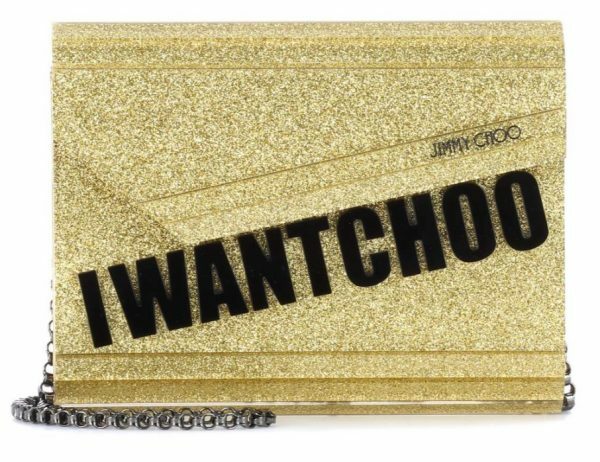 Lifting every basic look to new heights: Candy box by Jimmy Choo. 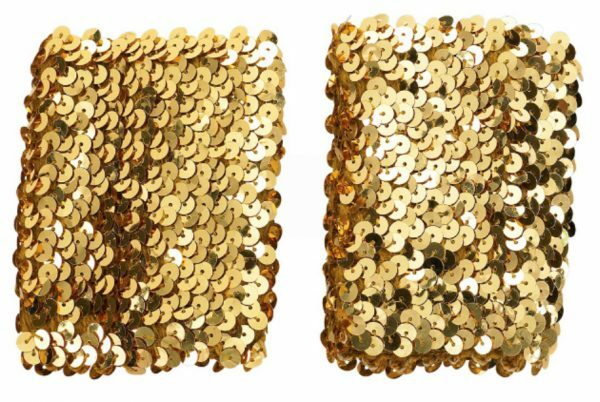 If you don’t want to spend a lot of money on your outfit, I recommend getting some fabric with golden sequins. Those accessories will have a great effect on your outfit and can be combined with all sorts of colors. 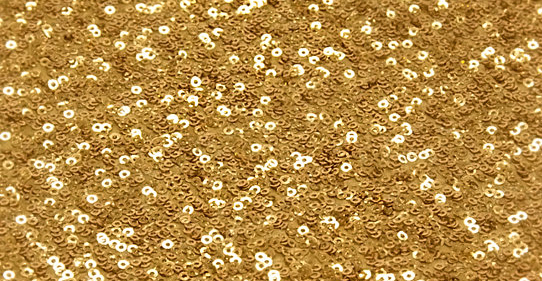 Moreover they are less expected than some golden shoes or a handbag. I still love the mixture between gold and black the best. 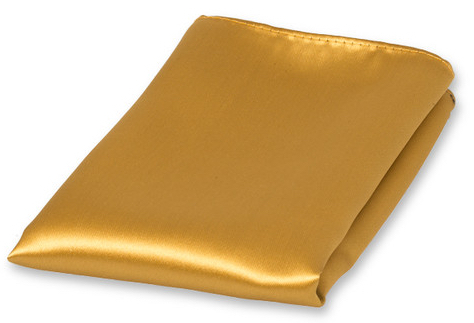 The perfect touch of gold for a man: the right colored pocket square. Zara has some cool pieces in gold. Minimal investment for a maximum effect. 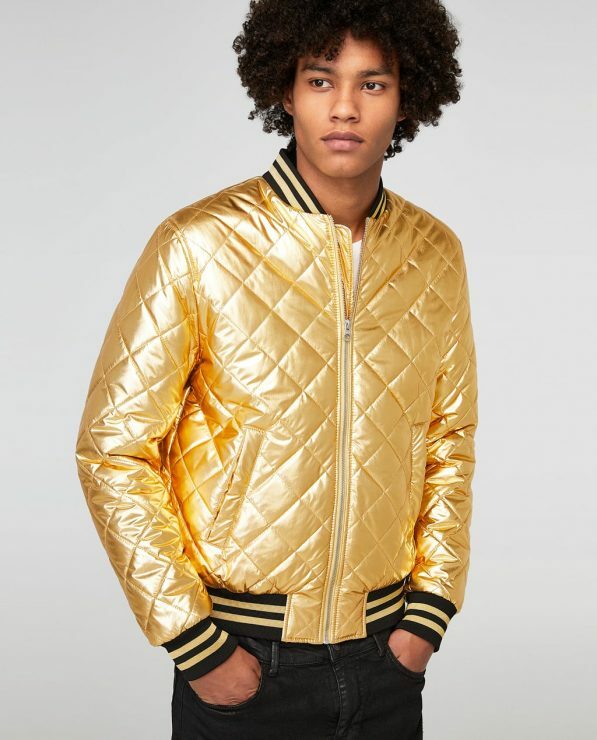 Be the star of the night: golden bomber jacket for men by Zara. The perfect touch of gold for women and great for dancing: shorts in gold combined with a black top by Zara. And don’t forget… you want to start the New Year with something new for good luck, it’s a great excuse to add a new piece to your wardrobe.